We already discussed cells and how they replicate in a previous section. 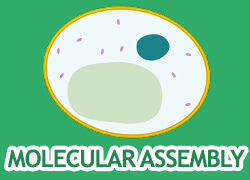 In this course, we will take a step towards a more macro view of cells and talk about how they assemble to create membranes and tissues. Key topics include the plasma membrane and its unique semipermeable structure, eurkaryotic cells and membrane bound organelles, the cytoskeleton, and various eukaryotic tissue types.